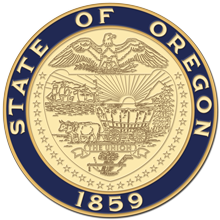 Portland, OR—The Oregon Department of Environmental Quality is partnering with local colleges, community groups and government agencies to determine more precisely what's in diesel exhaust and identify Portland areas most vulnerable to diesel pollution. The U.S. Environmental Protection Agency has awarded the group $466,276 for the two-year study. Diesel exhaust contains a complex mix of very small particles coated in toxic pollutants that can enter the lungs and bloodstream. Different diesel engines produce different exhaust formulas, and the resulting air pollution resembles other “black carbon” pollution, such as smoke from wood stoves. Currently it is difficult to distinguish between pollution from diesel exhaust and other forms of black carbon pollution. This research aims to break down the many different sources of diesel emissions and identify new ways to monitor and mitigate its health effects. Portland State University and Reed College will lead the research, working with project partners to identify monitoring locations in two vulnerable neighborhoods and around primary sources of diesel emissions: shipping areas, freight corridors, construction sites, and rail yards. “We'll be gathering data to create essentially a fingerprint of different types of diesel pollution,” said Linda George, Portland State University environmental science professor and lead researcher on the project. George's colleague, PSU urban planning professor Vivek Shandas, will use land-use and demographic data to assess the vulnerability of communities in different neighborhoods to the effects of diesel emissions. Juliane Fry, Reed College chemistry professor, will be teaming up with George on monitoring, research and analysis. Strategies for reducing exposure to diesel emissions could include cleaner diesel engines, reducing idling practices, altering freight routes and other measures to decrease the amount of diesel pollution reaching people. Project partner Multnomah County has been considering local options to reduce the health impacts of diesel emissions, and will be contributing data and analysis to further strategy development. 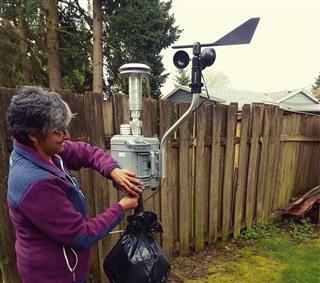 Photo caption: PSU Professor Linda George has been studying air quality in Portland for over 20 years and will be lead researcher on the diesel study. Photo courtesy Portland State University.